I tried something really funky today! 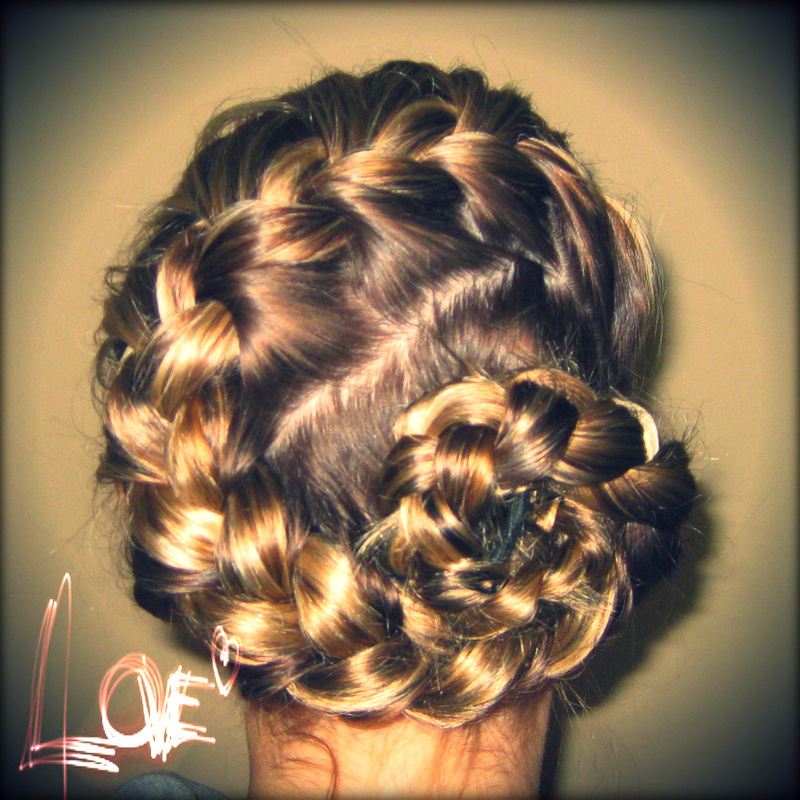 I love french braiding hair, but today I decided to try something a bit different. I started the french braid on the top right side of the head, then brought the braid down diagonally across the back to the lower left side. Then I changed directed of the braid to go straight to the right at the back of the neck. Once all the hair was in the braid, I took the straight part of the braid and wrapped it into a circle in the space under the french braid and pinned it into place! No product used here, just some bobby pins to keep it up and a headband.